MILAN (Reuters) -- A loyalty scheme that would increase the voting power of Ferrari shareholders is one option parent Fiat Chrysler Automobiles will consider when it spins off the luxury marque next year, Chairman John Elkann said. Fiat introduced such a scheme when it merged into Dutch-registered FCA this year, rewarding its own long-term investors and mainly benefiting controlling shareholder Exor, the holding company of the Agnelli family that founded Fiat. "There are many options today and this is one of them," Elkann told journalists on the sidelines of an event in Milan on Friday. FCA CEO Sergio Marchionne said last month that he would spin off Ferrari, sell a 10 percent stake via a public offering and distribute the rest of FCA's stake in the supercar brand to its shareholders. 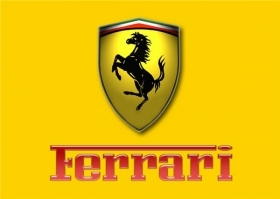 As a consequence, the Agnelli family will emerge as the largest shareholder in Ferrari after the spinoff. A loyalty scheme could tighten the Agnellis' grip further and increase their influence on Ferrari's future strategy. The spinoff announcement rekindled speculation that the Agnelli family may want to form a pool of luxury brands around Ferrari, including other opulent Italian names from outside the automotive sector, to rival groups such as France's Kering and LVMH. Marchionne said last month that carmaking is "almost incidental" to Ferrari, which he sees more as a luxury stock. But Elkann, a scion of the Agnelli family who also heads Exor, dismissed the idea of a luxury conglomerate, saying that Exor's plan is to give Ferrari the chance to develop its own growth strategy.